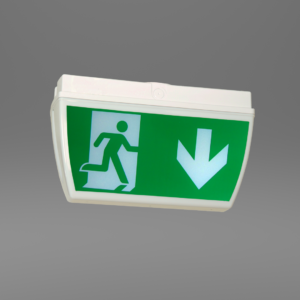 X-CS3M/ST - Ringtail Emergency Lighting. 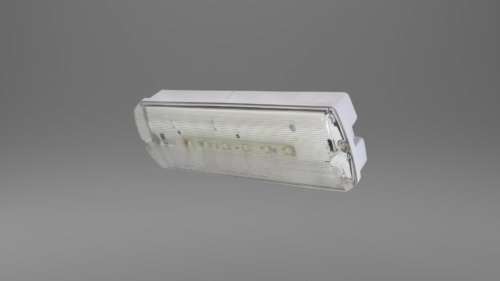 The X-CS3M/ST light is a high light output, emergency bulkhead with the added benefit of utilising LEDs and a self-test facility. 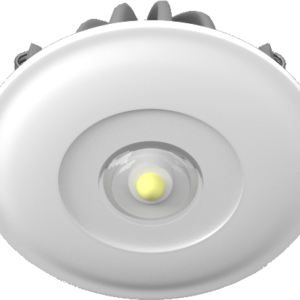 This LED bulkhead is a self test emergency luminaire suitable for internal and external environments. It uses 6 high output LED’s, with a moulded self extinguishing polycarbonate base and fitted with a fresnel diffuser, suitable for use on escape routes (850 degrees C Hot-wire test, defined by ICEL). 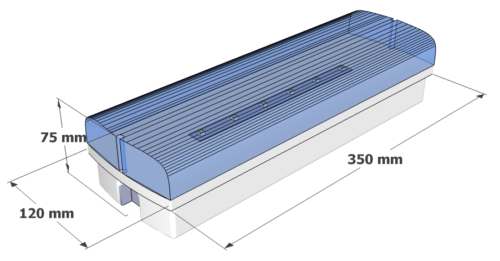 The diffuser is screw fixed and sealed by gasket to the base to provide IP65 protection. 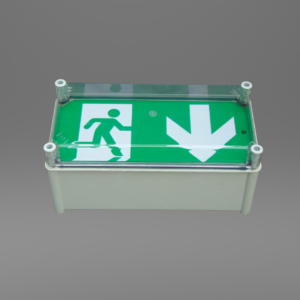 The gear tray is hinged and fully removable and cable entries are provided in the ends and base. This bulkhead can be fitted with a universal legend kit (part no. 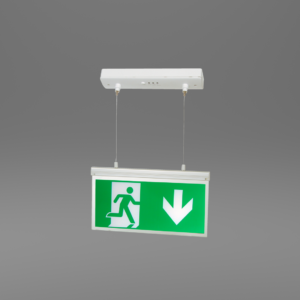 ULK) making it suitable for use as exit signs.